If you’ve worked with me, or we’ve just had lunch within the past six years, chances are you’ve met Frankie. Well, I couldn’t be prouder to let everyone know that the editors of Houzz.com just posted an article featuring my dear sweet Frankie. As the official mascot of Annie Santulli Designs, he eagerly visits most of my design work-sites. When on-site, he acts as a sounding board for my design ideas, of course he agrees with all of them. 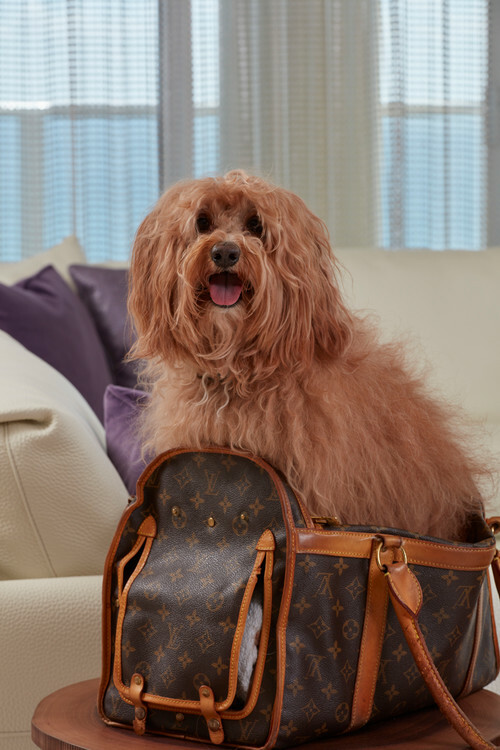 While photographing my latest interior design project – Palm Beach Modern Opulence – my talented photographer, Carmel Brantley, was able to capture Frankie in his glory – and in his luxury travel bag. Take a look at the article on Houzz.com below and don’t forget to like (or love) my Frankie.